I’ve been selling on Chicago’s North Shore for over fifteen years. Many first time buyers start their search online as so much information is available. If you are currently renting a home and considering your first home purchase then perhaps some of the tips that I share with my first time buyers may be helpful to you too. Check your credit score – Lenders base your mortgage largely on your credit score. Meet with a lender and get pre-qualified – you will need a pre- approval letter when you submit an offer and it’s also good to know what is the range you can spend on your new home. Set you housing budget. Just because “you can afford” to spend x you may not want to – I always tell my clients to take a look at the other things they want to continue to do such as annual vacations, health club memberships, saving for kids college and/or retirement. Start exploring the areas which interest you – go to local parks, take a walk, hit the town, eat at a local restaurant – do you like the vibe? Narrow your priorities – is living in a certain town of most importance or is having a particular style/size house a priority. Partner with a Real Estate Broker who is experienced, knowledgeable and familiar with where you want to live. A local broker will have knowledge of inventory which is not the market yet. MOST IMPORTANT – HAVE FUN!!!! 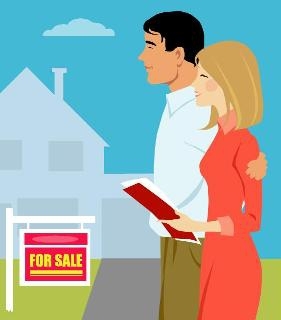 If you are considering buying a home in Highland Park IL, Glencoe, Deerfield, Winnetka, Kenilworth and surrounding North Shore Suburbs give me a call 312.203.2416. It’s important to work with a REALTOR who works full-time, knows the inventory, communities and schools. Highland Park IL REALTOR Offers Advise on Budgeting For New Home Expenses. I’ve seen it happen with rookies and seasoned home owners alike – buyers determine their budget, get approved for a mortgage, factor in taxes and purchase a home, only to get sticker shock on some big ticket items. There are great real estate deals right now in Highland Park and all over the North Shore, but prospective buyers still need to approach the costs of home ownership with eyes wide open. Here are some of the major expenses that buyers often overlook when budgeting for a home purchase. Window Treatments – Great natural light is a huge selling point, but those gorgeous windows need to be dressed for light blocking and privacy. Window treatments for standard windows are available at all price points, but most windows are custom sizes. It’s not uncommon to spend hundreds on a single window, and higher end textiles and hardware can easily go into the thousands. Even capable seamstresses who make their own curtains will have considerable costs associated with expenses. Look around online or visit a home decor shop to get a sense of pricing. Landscaping – As we move into the winter months this can be particularly tricky. Soon yards will be blanketed with snow and buyers may not know what lies beneath. Clients of mine moved to Highland Park from the city; when we negotiated the deal in late winter it just looked like their new home had some grass and a few plants, but by the time they moved in spring it was obvious that they had an elaborate garden that required professional care. They love their spectacular yard, but not the annual landscaping bill that’s equivalent to an additional mortgage payment. In-ground lawn sprinklers require maintenance and annual turn-on and shut-off service by a professional. A heavily wooded lot may require scheduled care by an arborist. Snow Removal – One thing I can guarantee any buyer on the North Shore is that they will get snow. Plan on hiring a service or purchasing equipment to DIY. Recurring Service Visits – Good maintenance is the best way to protect your home investment and enjoy it without any surprise repairs. Plan on bi-annual service calls for HVAC maintenance and routine checks of the sump pump and battery back-up system. Many home owners find that a service plan is the most cost-effective solution, and I encourage my clients to support local businesses like Ravinia Plumbing of Highland Park and American Weathermakers of Northbrook. This area has abundant natural beauty, but the downside to that can be unwelcome critters. Be sure to budget for pest control. These are just a few of the basics, and specifics will vary with each home. Sometimes a home’s biggest selling points can require extra service and care. Pools require maintenance, specialized equipment and chemicals, natural stone needs to be carefully maintained and periodically resealed, and fireplaces need regular cleanings and inspection. Buyers who think about these costs up front won’t get caught off-guard.